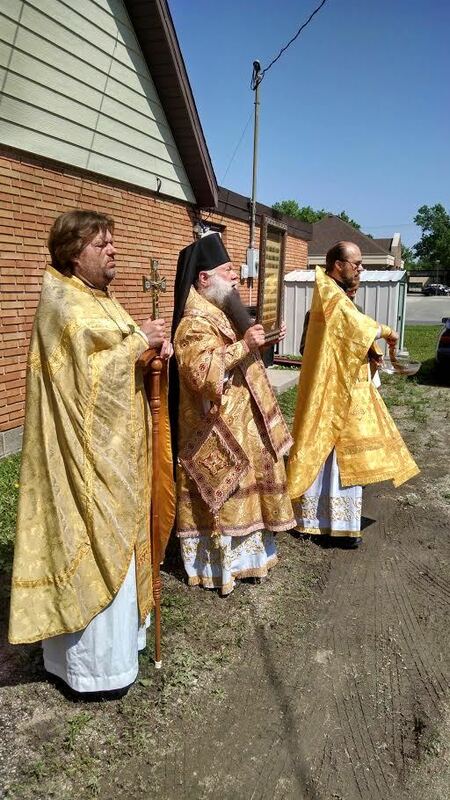 On the Feast of All Saints, His Grace Peter, Bishop of Cleveland, Administrator of Chicago and Mid-America Diocese celebrated an Altar Feast at All Saints Orthodox Church in Fargo, ND. Rev. Fr. 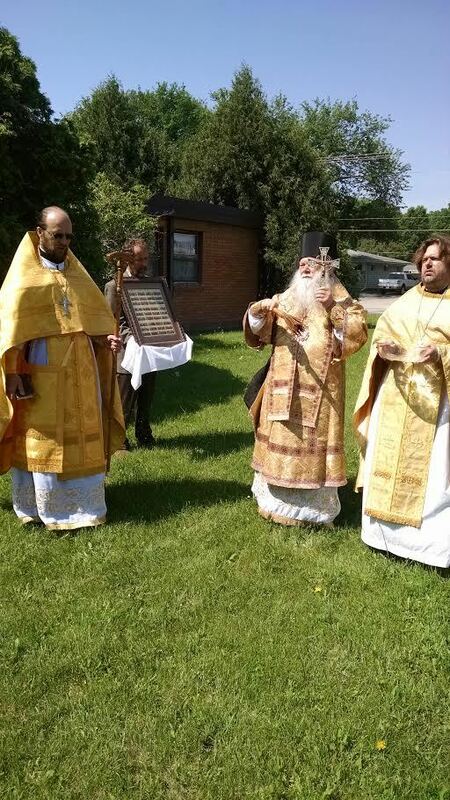 Antony Alekseyenko (Acting Rector) served the Blessing of Water and blessed the whole church. Also after Pascha iconostasis was fixed. Vigil was served by Rev. Fr. Joseph Towne, and Liturgy on Sunday of the Feast was served by Bishop Peter with Rev. Fr. Antony Alekseyenko and Rev. Fr. Joseph Towne. 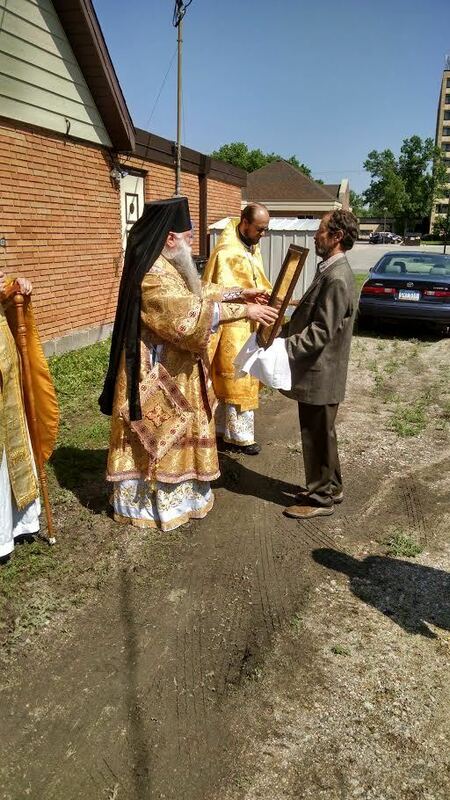 The local Orthodox community attended the services and communed Holy Gifts. 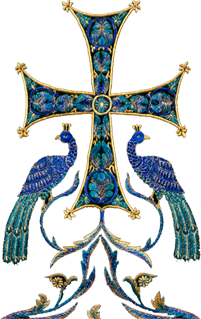 After the Liturgy Moleben and Cross procession were served, during which the church was blessed from all four sides. On June 14, Rev. Joseph Towne served the Liturgy of All Russian Saints.